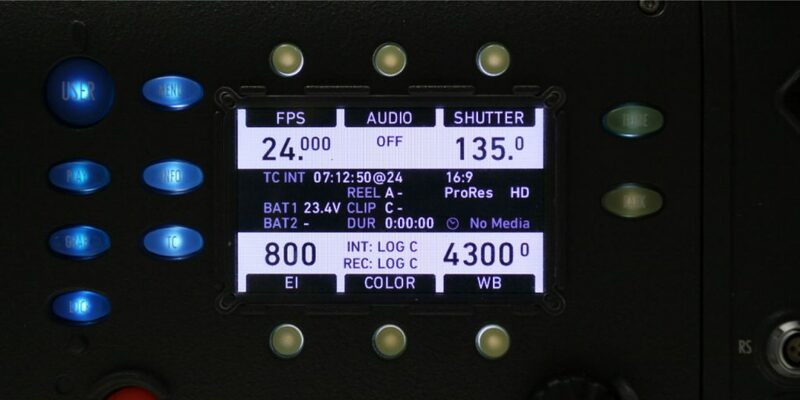 In previous blog posts we outlined what kind of metadata cameras can provide on a film set and how it can be beneficial for the DIT and the camera department to monitor and store this information throughout production, using on-set software (links at the end of the article). 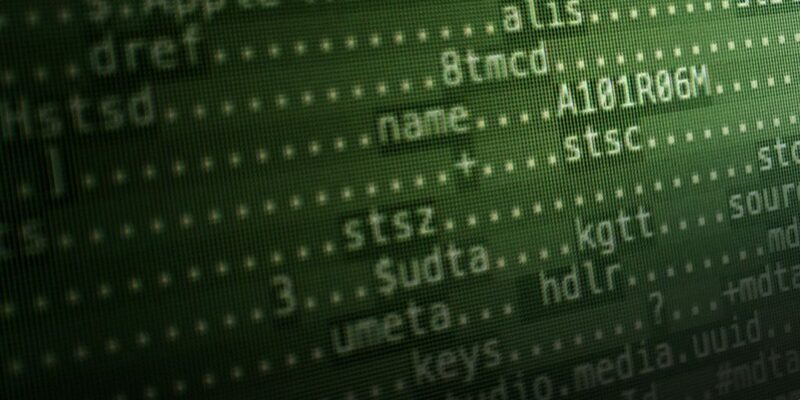 In order to work with the live metadata, the first step is to make the metadata available at the DIT cart. 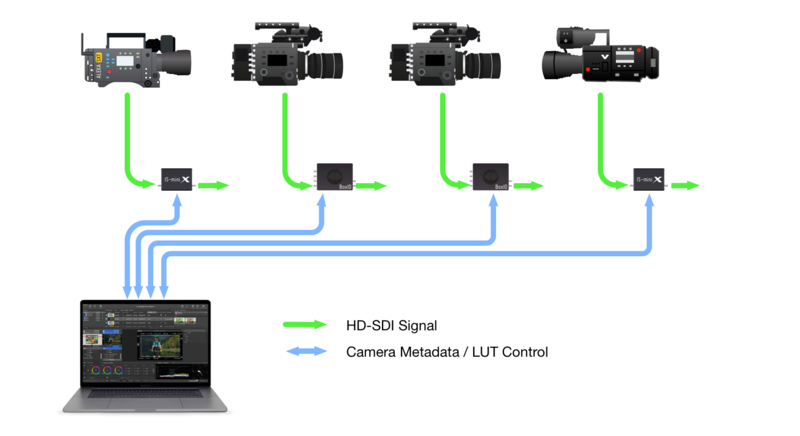 If you’re working with LiveGrade Pro, this can be done in three different ways depending on your specific set-up and requirements: With capture devices, with LUT boxes, and via direct network/Wifi connections. To make sure you know all about the options, the following article will give you an overview of the currently possible setups and hardware configurations for capturing camera metadata with LiveGrade Pro. Where is Camera Metadata Coming From? Today’s cameras for digital cinematography are complex systems that create and manage a broad range of information besides the actual recorded image (and audio). give production context (e.g. production, episode, unit, name of DP, DIT, editor etc.). Most of this information is saved by the camera within or besides the recorded media files. But the information can often also be accessed “live” directly from the camera’s interfaces. HD-SDI signal: The digital HD-SDI connectors not only output video image and audio. The signal also carries so-called ancillary (“ANC”) data packets. Different vendors embed their camera metadata in different places, and include different encodings in the signal, but basically the carried information is similar for all vendors. Network / Wifi connection: Some cameras allow for network/Wifi connections which can be used to control the camera. These connections also provide protocols to read current status information from the camera. The available information is somewhat similar to the information in the ANC packets, but every vendor has his own style and protocol of accessing this information. ANC data is provided by all ARRI cameras (Alexa, Alexa Mini, Amira), Panasonic Varicam models, and Sony cameras (F55, F65, and VENICE since firmware V2). Network/Wifi connections are available with CAP2-enabled cameras by ARRI (Alexa Mini and Amira), as well as with RED cameras supporting RCP (RED COMMAND PROTOCOL). 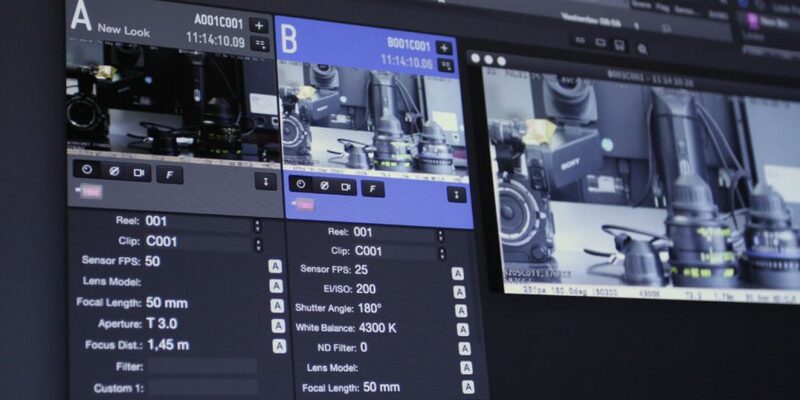 The metadata that is made accessible by the camera can be received live by the on-set software LiveGrade Pro in basically three ways: With a capture card, through LUT boxes, and via the network/Wifi connection. When using a capture device with LiveGrade Pro, the camera’s video signal with all ANC data is captured in the capture device, and the camera metadata can be extracted by LiveGrade Pro directly. If you are using a capture device already to record video or frame grabs, this is a convenient way to also access camera metadata. Unfortunately capturing video is a quite processing- and bandwidth-heavy process for the computer, so the number of streams that can be captured simultaneously is limited to just a few. Currently capture devices from Blackmagic Design and AJA are supported by LiveGrade Pro. Some LUT boxes can extract ANC data from the video signal. The metadata is then communicated through the existing data connection from the LUT box to the computer running LiveGrade Pro (e.g. Ethernet). For applying looks to multiple camera signals the use of LUT boxes is the recommended way, because this setup scales best to a large number of signals. As the video processing is not done by the computer but by the LUT box you can attach almost as many LUT boxes as you like to LiveGrade Pro. Having access to the processed metadata of each LUT box doesn’t add much performance need to LiveGrade Pro, so you can receive metadata from a lot of cameras simultaneously. Currently the BoxIO device from Flanders Scientific (FSI) and the ISMiniX from Wowow can extract ANC data from the camera’s video signal. With some HD-SDI transmitters, the video signal gets altered by the transmission process. When using such transmitters this means that the ANC data is stripped from the signal and is not available at the receiver’s outputs. Teradek just recently spent extra work to get the ANC data through the transmission in their latest devices. As a result, the latest Bolt XT transmitters will send and receive ANC data that can then be read by capture devices or LUT boxes (as described before). LiveGrade Pro can also connect to the cameras’s network/Wifi interface if available. To do this a working network connection either via Wifi or Ethernet needs to be established between the camera and the computer running LiveGrade Pro. For RED cameras this is the only way of receiving live camera status in LiveGrade Pro, as the RED cameras don’t communicate such metadata in the HD-SDI stream. No matter which way you choose to get live camera metadata into LiveGrade Pro, it is always displayed in the on-set software in one uniform way. It’s shown in the camera slots for monitoring metadata, and stored in the shot library for later reference. In multi-camera shoots, maintaining consistency of camera settings is much easier with all information being collected in one place side-by-side instead of running from camera to camera or switching between signals to write down camera overlays. LiveGrade Pro automatically saves all received information in its shot library. Having this information as a reference for future shooting days or for shooting with another unit speeds up setup times and reduces time for note taking. With a VFX supervisor on set, collecting information is one of the core tasks. Providing a lot of valuable information already from the DIT cart saves time and avoids redundancy in capturing data. If you already own one of the mentioned devices you can easily start accessing live camera metadata in LiveGrade Pro with your setup. Give it a try!